If I say the word ‘battery’, I know the image that will pop into your head. It will probably be a little cylindrical AA, the type that powers toys or remote controls. Maybe, if you’re a car nut, it will be a big lead acid unit with the terminals on top. 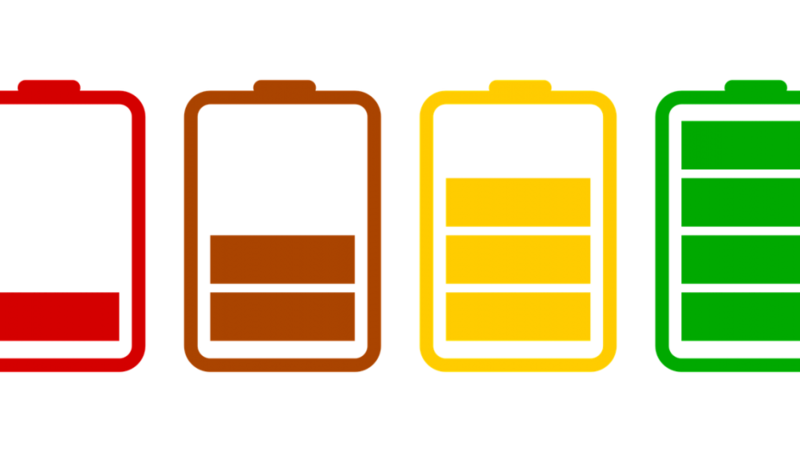 Either way, we think of batteries as discrete components: chemical reactions in a metal or plastic shell that deliver us power on the move. But what if they didn’t need to be? A battery is basically two electrodes in a chemical bath. OK, there’s a bit more to it than that. But once you take that fundamental simplicity into account, you begin to think: why couldn’t anything be a battery? This idea was brought to life by a conversation with a researcher at the Graphene Engineering Innovation Centre, Dr Richard Fields. Pointing to the giant new engineering campus being built across the road from the National Graphene Institute (NGI), Fields, a Graphene Application Specialist, asked why the slurry they were pouring couldn’t be the electrolyte, the chemical soup that makes up most of the volume of a battery. Maybe it could be integrated into the walls of the building? You wouldn’t want to do this with current battery chemistry, which relies on expensive and dangerous lithium-based electrodes. But we can foresee a time when the electrode material is cheaper, easier to manufacture at scale, and safer. Graphene and other single layer materials may have a role to play here, with graphene already being looked at as a modifier for lithium-based cathode materials giving them longer life and enhanced charging capabilities. These aren’t the only changes coming to batteries. Richard and I discussed the prospects for the ‘supercapattery’, a hybrid between a battery and a supercapacitor. Supercapacitors store energy as an electric field. This means they can’t store it for as long as a battery, or store as much. But they can be charged incredibly quickly, and discharged very fast, providing a big squirt of energy when needed. Because they don’t rely on chemical components that degrade over time and use, they can also last an incredibly long time. Combine a supercapacitor and a battery and you can create a device that charges quickly, stores loads of energy, and has a very long lifespan – potentially millions of cycles rather than tens of thousands for a battery. Build a supercapattery into a house and you would have an incredible reservoir of energy on tap that could store all the renewable energy you could generate. You might be able to do away with wiring as well, depending on the design. Imagine sheet electrodes in a solid battery panel behind the plasterboard. Want to add a socket? Just plunge a pair of connections through the wall to link up with the sheets inside. OK, this last idea might be a little far-fetched – Fields and I were going off at excited tangents at this point. But it’s important to think like this about the future of energy. Our demands on the energy network are changing incredibly rapidly, so our approach to servicing them needs to be equally radical. We need to reshape the way we generate, store, and distribute energy over the next twenty years to support changing demand and the needs of the environment, in terms of carbon release, air pollution and more. One of the ways we do that is to stop thinking about batteries – and other components of the energy infrastructure – as being discrete items. Just as with Tesla’s solar roof tiles, with the application of a new range of materials and manufacturing techniques we can increasingly make energy generation and storage part of the function of another structural component.